Back in the 60’s and 70’s bass mutes were used to give bass guitars more of an upright/double bass sound. Guitar players can get away with palm-muting to get that staccato feel, but if you’re playing bass with your fingers it’s a little easier said than done. Way back in the day, bassists were sticking foam in their bridges (you saw that done a lot with Rickenbackers) and while it achieved the desired effect, it really messed with the feel and intonation of the instrument. True to our name, while not a pedal the NordyMute is still an effect! Pop it onto your bridge and it’s instant Motown. The great thing about the NordyMute is that it really quiets down unwanted noise. If you’re playing with something as gnarly as a Microsynth, it can pick up string artifacts and trigger the pedal when you want to quiet it down. With the NordyMute, it’s no longer a problem. 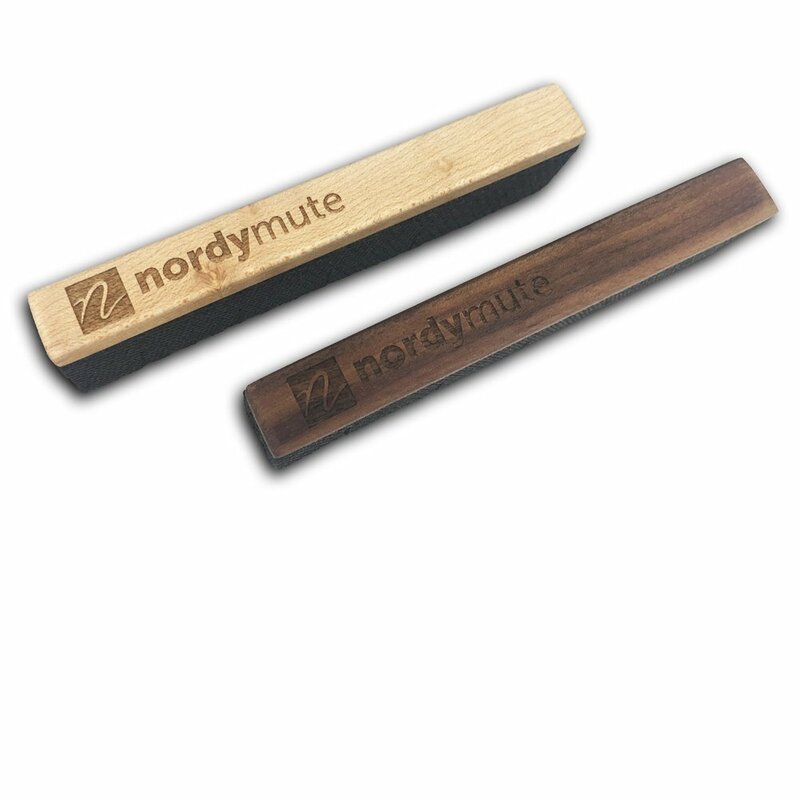 Like all the things we love and rep here, the NordyMute encourages you to play a certain way, which means you learn and grow as a musician. For the better! Tell ‘em Juan sent you!